Accordingly, Hazrat Mirza Bashiruddin Mahmud Ahmad, Khalifatul Masih IIra visited Damascus during his tour of Europe in 1924 and happened to take up accommodation towards the east of the white minaret. Yet again, for the second time while traveling to Europe, this time by air, he descended in Damascus. Hence, the prophecy of the Hadith was fulfilled. Studying history to find the date of construction of the actual minaret in Qadian, we discover that in 1900, the Promised Messiahas appealed for the construction of a white minaret in Masjid Aqsa, which is situated exactly at the east of Damascus. Moreover, he expressed that the construction of this minaret was deeply associated with the revival of Islam. On one occasion, the Promised Messiahas drew a sketch of the minaret on a piece of paper with his own blessed hand, proclaiming that Allah the Almighty had commanded him to build this type of minaret. There lies a particular passion and desire in the ummah of Muhammadsa to witness the practical fulfillment of the prophecies of the Holy Prophetsa. A study of Islamic history reveals that Muslims, spending thousands of dinar, built a minaret in the city of Damascus, Syria but it underwent various calamities. At present, a minaret stands within the Umayyad Mosque while another minaret exists on the eastern gate of the ancient city of Damascus. After the publication of this announcement, Muslim clerics and opponents of the Jamaat criticised that spending money on the construction of a minaret and fixing a huge clock upon it would be an act of squandering. One can sense the financial condition of the Jamaat from an incident when Hazrat Mir Hisamuddin Sialkotira, sitting in Masjid Mubarak, estimated the total cost of the minaret to be ten thousand rupees. The Promised Messiahas told him repeatedly to devise a plan to lower the expenses. Eventually, the Promised Messiahas divided the amount of ten thousand rupees on a hundred parts and published a list of 101 devoted servants, appealing that those who contributed to the cause would have their names engraved on the minaret. Several companions, who were seemingly not able to offer much, responded to the cause selling their household goods. The Promised Messiah’s noble wife, Hazrat Nusrat Jehan Begumra promised to contribute one thousand rupees and to sell her house in Delhi to donate more. Primary arrangements, designs and the selection for the place of construction was finalised towards the end of 1901, but owing to the outbreak of plague, there began a shortage of artisans and labourers in the country. On Friday, 13 March 1903, on the day of laying of the foundation of the minaret, the Promised Messiahas held a brick in his hand and prayed for a significantly long period. Huzooras then instructed to place the brick on the western side of the foundation. Hazrat Mir Nasir Nawabra was the supervisor of the construction work. The base of the minaret was erected after pouring concrete deep into its foundation. 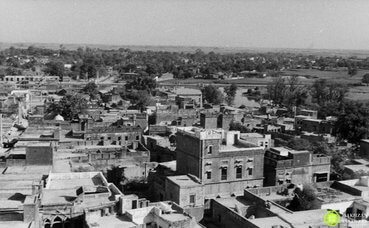 The local Hindu populace, out of mischief, complained to the authorities that the minaret would expose their houses to the views of strangers. The tehsildar (executive magistrate of the administrative division) and district magistrate reached Qadian for inspection and interviewed the locals. On the basis of received testimonies, the deputy commissioner of Gurdaspur dismissed the case. 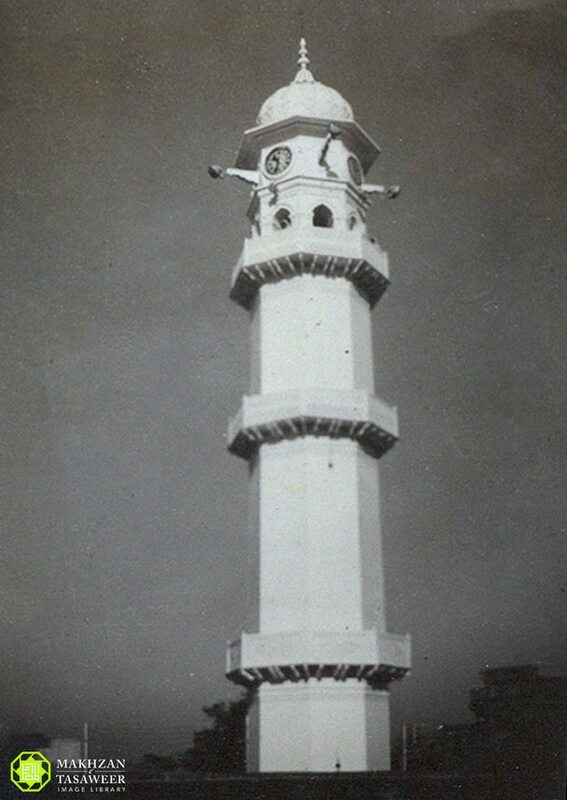 The construction work of the minaret could not be resumed throughout the era of Hazrat Khalifatul Masih Ira. However, Hazrat Musleh-e-Maudra resumed the construction of the minaret by placing a brick on the incomplete structure on 27 November 1914. Qazi Abdur Rahim Sahib was appointed as the supervisor. Marble of the finest quality was transported from Ajmer Sharif. 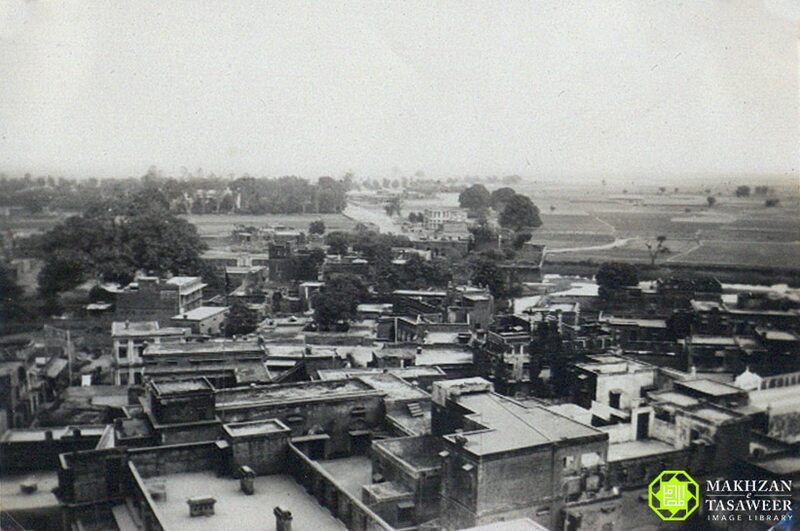 Reaching the height of 105 feet, the construction of Minarat-ul-Masih completed on December 1915. The total number of stairs of the minaret are 92 and there is a total of 211 names of companions which are engraved on it. This minaret has experienced more than a century of opposition and hostility to date, but its light continues to shine across the globe.